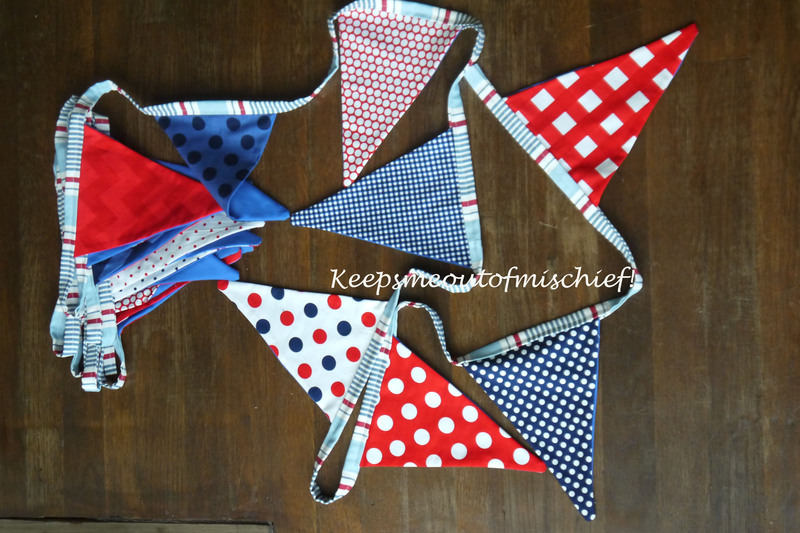 Billy’s Bunting | Keeps Me Out Of Mischief! With another sprog on the way, we’re having to have a bit of a move around a home. Little B needs to move into his big boy bedroom to make room for the imminent arrival to move into the nursery. The room that he was due to move into had been a complete mess since we moved into our house almost two year ago. When we first moved in, we decided to use the room for all the things that we hadn’t yet found a place for and all the boxes that needed sorting before they were allowed into the loft. We’d just shut the door on them and pretty much forgotten about them, but there’s nothing like a new arrival to concentrate the mind and make you want to purge (or in my husband’s case – hide it all in the loft!). After he’d got the room painted a soft shade of blue it was up to me to sort out the soft furnishings. I’d already decided that I wanted to use one core fabric to use around the room to tie it altogether so I started with the curtains. I went on a day trip to Birmingham with my parents who had discovered The Cotton Patch online but wanted to visit to see what treasures we could find. We originally went with the plan of finding some Christmas fabric for a couple of projects we had in mind. Of course this fell by the wayside and I got diverted by lots of other ideas when I saw their range. I bought fabric for about four different projects (that hopefully will get made!) 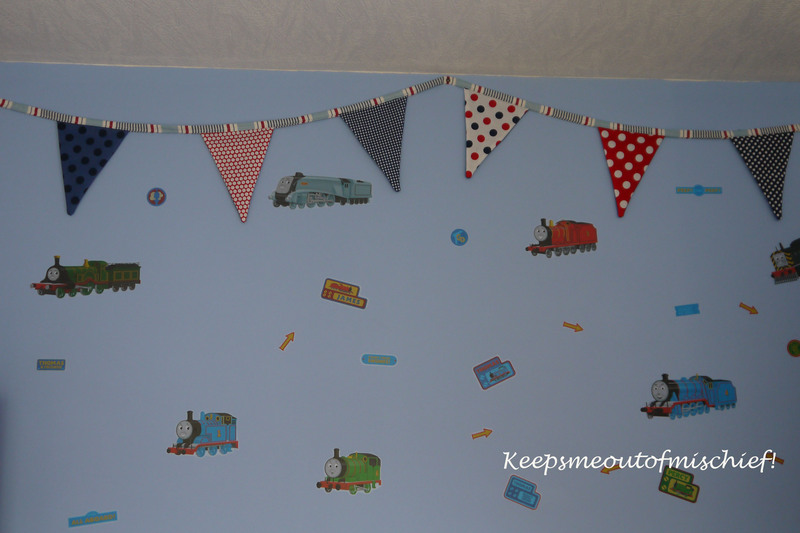 but the first was this bunting for B’s bedroom. Rather than buying lots of different fabrics I bought two of these pre-printed bunting panels by Riley Blake and used some plain blue sheeting to back it with. The binding along the top is made from the curtain fabric to tie the room together. It went together beautifully and looks great strung up around the ways of the room.